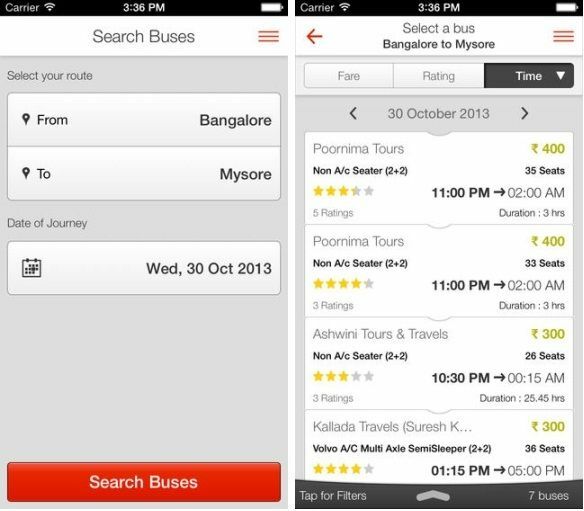 RedBus.in is one of the popular bus ticket booking reservation website has launched the native iOS app for iPhones and iPads. It already launched the apps for Android and Windows Phone users, so now you can download the app free for all platforms. The app helps you find more than 10,000 bus routes from 800 providers, select seats and book the tickets from your smartphones. The app now supports multiple payment options including Credit, Debit, Net banking and Cash on Delivery. Your transactions are 100% secure through SSL based service and you can also book cash on delivery tickets. Redbus app for Windows Phone is completely redesigned with new User Interface for Windows Phone 8 system. The app updated with new features including Virtual Boarding point feature that lets customers to get directions to their boarding point from their starting location. Customers can also download their previous bookings and cancel their tickets directly from the app. 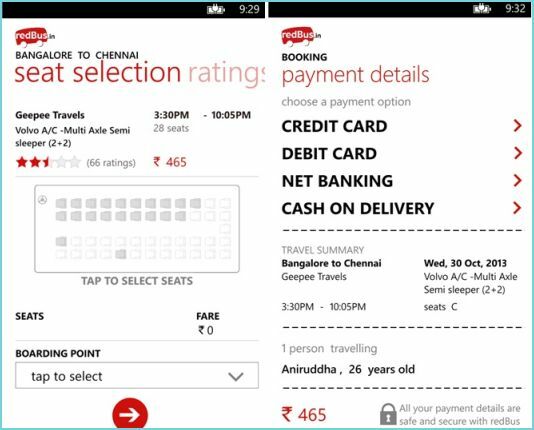 Try out a completely fresh look of redBus.in on windows phone 8. Download all your bookings from redBus.in to your device. The new busBuddy feature: busBuddy helps you manage your bookings easily from one place. You can find the exact location and navigate to your boarding point on a map. Call support for your travel related queries straight from the app. Cancel your bookings straight from the app.